I am having so much fun with these sketches! I didn't realize how much I missed it until I started doing them again last Sunday (thanks Charmaine!). Putting together a sketch and a card keeps me on my toes, I must say. To make the sketch here at Heartfelt Greetings a little different than the others you'll find out there, I plan on adding one small, insignificant requirement to the sketch each week.....I'm such a meany, aren't I? Offering a simple sketch just isn't enough for me, is it? NOOOOOoooooo! 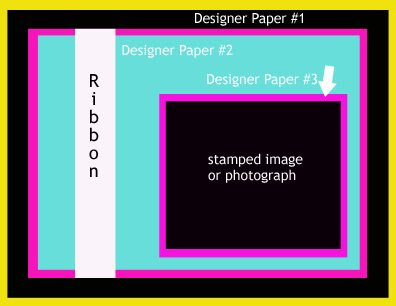 I want YOU to love working with designer paper as much as I do, so each week, you'll be required to use a certain number of designer papers on your card, no excuses! This week it's three again, just like last week. Here is my card using this week's sketch.....and boy, I wasn't shy with the colors. I like to go bold in the spring/summer months. Black paper with bold brights is one of my absolute favorite color combinations! The sketch makes it very easy for you to see where all your papers should go. The only confusing thing might be seeing where the 3rd paper should go on the card. Actually, use your third paper as a mat for the main image. Also, for your main image, you can use a stamp or a photograph, your choice. I used a photograph of a flower that I took last April for my main image. I went CRAZY this weekend making cards with real photographs! I can't wait to show them all to you, they are beautiful! I must confess, there's really nothing special about the card designs/layouts I used, in that respect they are very simple, non-award winning cards! But the pictures....oooo-la-la, they are beeeeuuuuutiful! All the pictures I used on the cards were taken by me, last April, at the National Botanical Gardens in Washington, DC. Instead of junking the cards up with ribbons and brads and all sorts of stuff, I just let the pictures do the talking, KWIM jellybean??? Don't forget to hang a sentiment off your ribbon. I didn't put it on the sketch cuz it looked weird, but be sure and get one on the card somewhere, K? The sentiment I used is a brand new one from Verve, from a set called Great Expectations. It was just released Friday (a few days ago), along with the other new set called Father Figure. Be sure and check out these two new sets over at Verve right now! Want to hear a little secret? Julee's having a SALE!!!!!!!!!!!!!!!!!!!!!!!!!!!!!!!! It's called the Verve Visual Star Studded Sale, and it means that every set Verve has with STARS in it is 15% off now thru 5/15! Not to mention, there is free shipping on all orders over $40. You just can't beat free shipping ladies. I take advantage of that WHENEVER it's offered cuz shipping costs an arm and a leg! If you give the sketch a try this week, upload it to SCS using the code SSS2, ok? If you want to see the cards using last week's sketch, click here. They were fabulous, everybody did such a great job getting three paper worked into their card, I'm so proud of you! Way to go! Now we get to do it all over again! Hi Amy--My sister and I left you an award on our blog. We love your cards and even case'd one that we posted today. We gave credit, hope that's okay :-) Thanks for the inspiration! Super card Amy! I'm having a blast with these sketches and challenging myself to use more DP. I never thought I could mix them up...thanks for the inspiration! Will definitely give this a go again this weekend! Thanks! This is so cool, Amy! 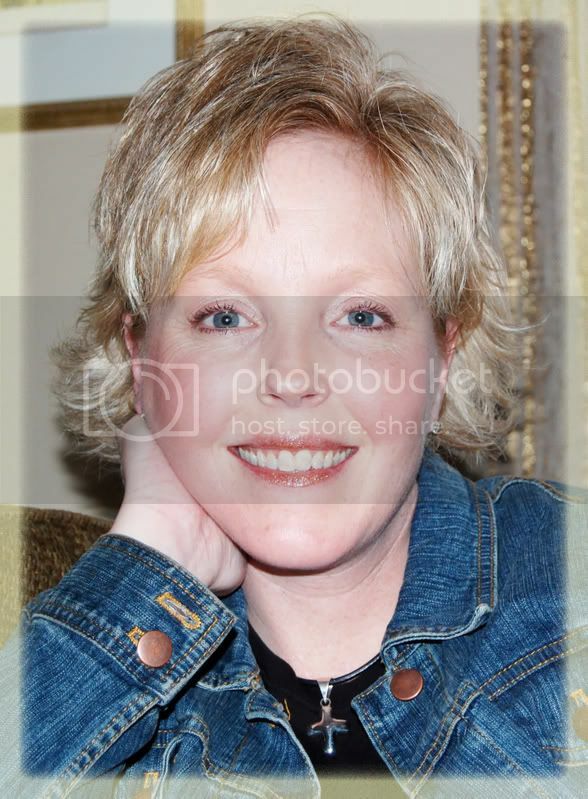 I love your scalloped edges around the oval, and the photograph is gorgeous! Hugs! Beautiful Amy! Great sketch, and your photo is stunning! I will have to make time for your sketch, I had so much fun with the last one! I love your card. I was so excited to see where you took the photo - I was just there and took tons of photos until I ran out of film - darn it! Now I have an idea of how to use those photos - thanks! 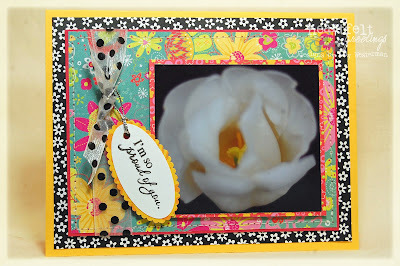 Very pretty card--Love how you matted the image with dp! Awesome look!! Great sketch too! This was such a fun sketch! One of my favorites EVER! :D I just love the excuse to use up all of my dp. I will try and link my card to here ASAP! Thanks so much Amy! Thanks for the inspirational sketch, Amy! Here's a link to my card. I think I need more practice using this many types of patterned paper on one card -- my third layer is hard to spot because it's too similar to the second layer. Oh well! That's how you learn, right?!? Alright Amy, here is the link to my card. I posted it on my blog and on Splitcoast but I decided to send you to my blog. All designs and photos on this blog are copyright ©Amy Westerman. Feel free to be inspired by what you see, but anything beyond that, for your personal gain, is direct copyright infringement.